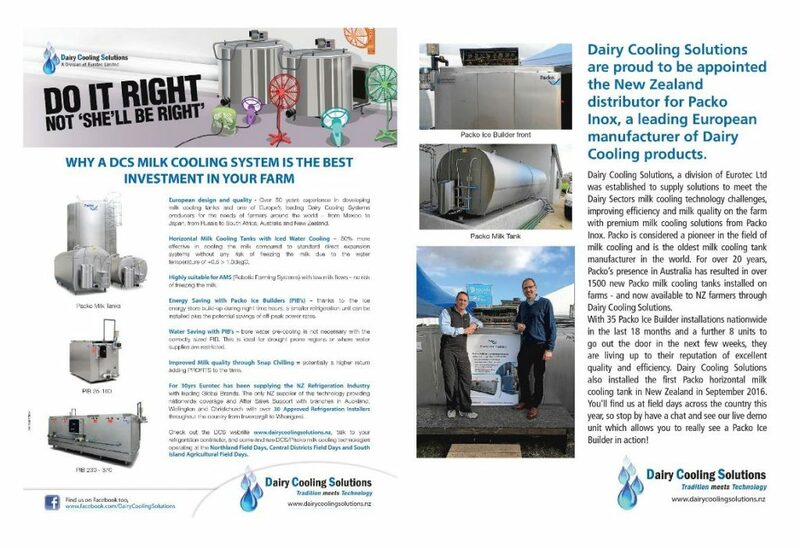 The February issue of NZ Dairy Farmer is out now and you will find DCS scattered throughout its pages. 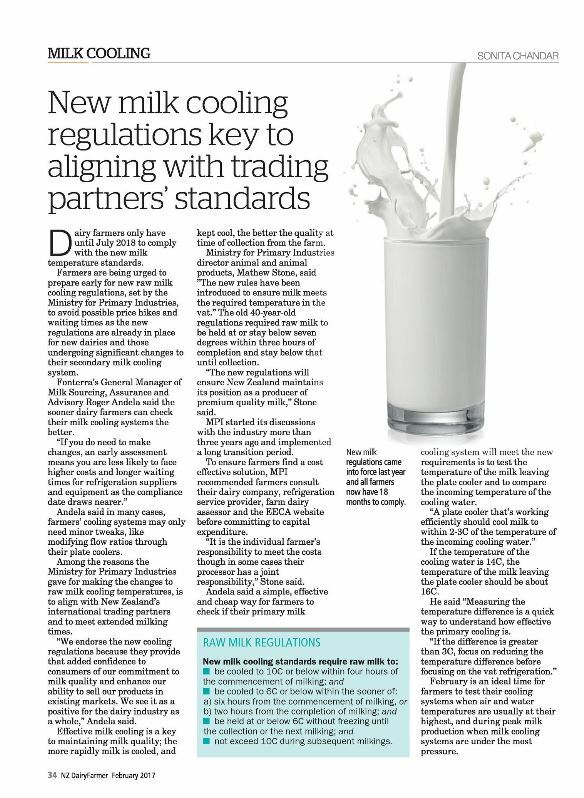 An informative milk cooling feature reinforces the new MPI regulations and what they mean for the farmer. 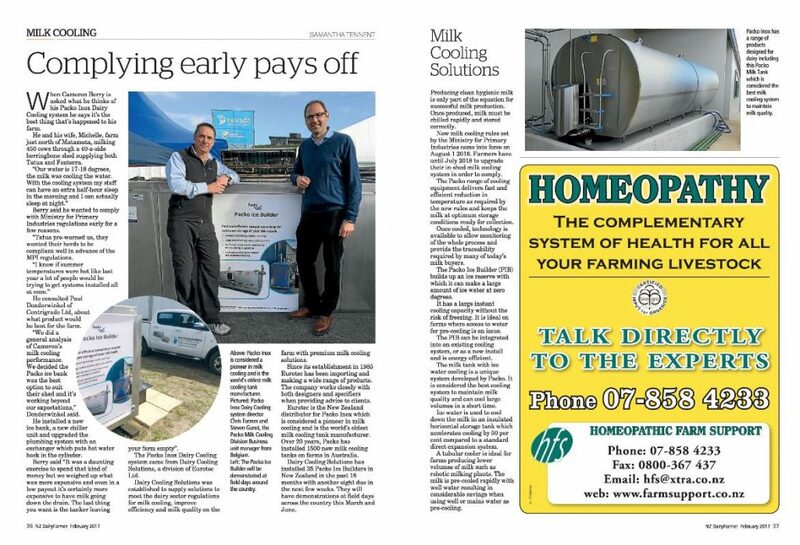 We also hear first hand from farmer Cameron Berry of Matamata and refrigeration contractor Paul Donderwinkel of Centigrade Ltd, about how successful the Packo ice bank has been for the performance of the farm and why it pays to comply with the regulations early!